Horace Winthorpe here -- I'm a Professor of . . . sorry, I was a professor of history at a well known New England college. I tend to forget that I'm not teaching any longer. Academia has been my whole life. I've been very fortunate. I’ve had a rewarding career, but now I’m happy to say I’ve finally retired and have the time to work on my own projects. 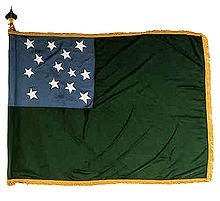 The Revolutionary War years in New England has always been my particular interest, especially the part that Vermont played in those battles, some of which are (sadly) not very well known. 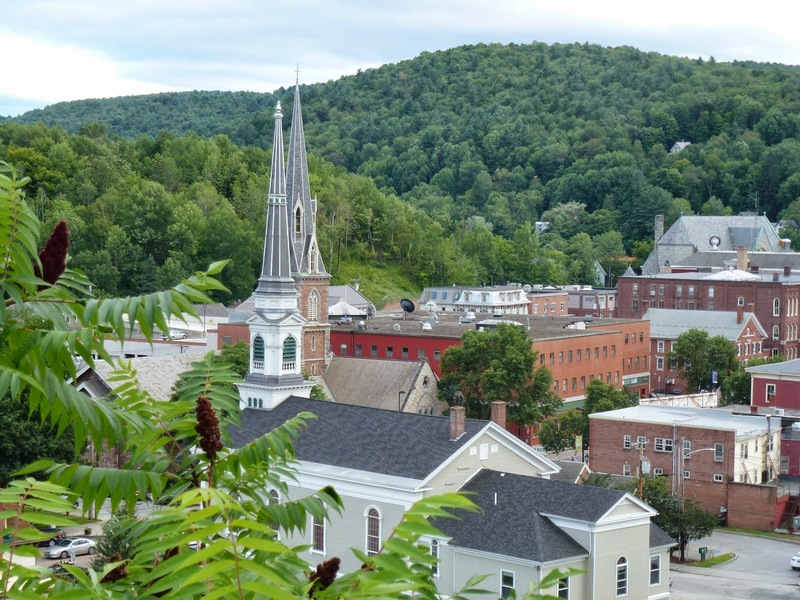 Everyone has heard of Ethan Allen and the Green Mountain Boys, but there's so much more to the story. There I go again . . . lecturing. I have certainly turned into a pedantic old fuddy duddy. It's a wonder anyone wants to talk to me. You see, it was only natural I would choose to live in Vermont now that I was free to go anywhere I wanted. I can visit battle sites, have access to local resources and folklore and write to my heart’s content. I was searching for a small town, some quiet place, where I could focus on my writing. And it was quite by accident that I stumbled upon the village of Snowflake. I had been driving north and took a wrong turn that led me to Lincoln Falls, which in turn led me to Snowflake and to my new home. That’s how I met Lucky Jamieson and her grandfather Jack. Lucky’s parents -- Martha and Louis – had been killed in a car accident and Lucky couldn’t afford to keep their home. She’s rented their charming house to me for as long as I want it. It’s a wonderful bargain and helps her out as well. Even better is the restaurant that Lucky runs – the By the Spoonful Soup Shop, a place I visit just about every day. My esoteric interests have come in quite handy. They’ve helped Lucky solve a couple of mysteries and I’ve even become involved in some of the adventures. I’m so settled now I even have a dog – his name is Cicero and he talks to me all the time. His owner died in A Broth of Betrayal and I was able to adopt him. He's the best company in the whole world. We drive into town, walk around the village and always stop in at the Spoonful. Even Cicero gets a treat there. My book is coming along . . . slowly. But there’s no rush. I have all the time in the world. I hope you’ll visit Snowflake soon and stop in at the By the Spoonful. You’ll probably find me at the counter ordering the soup of the day. Everyone in the village has been wonderful to me. They’ve befriended me and looked out for me. I think of Snowflake as home now, as my home. I wonder how I ever managed to live anywhere else. 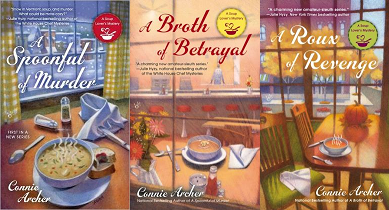 Connie Archer is the national bestselling author of A Spoonful of Murder, A Broth of Betrayal and A Roux of Revenge. 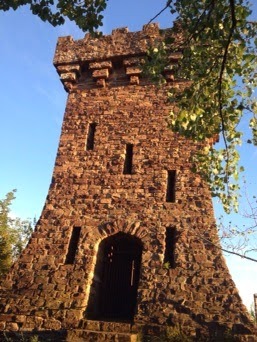 You can visit Connie at conniearchermysteries.com, Facebook.com/ConnieArcherMysteries and Twitter @SnowflakeVT. Western Civ? Well, perhaps. Horace is very knowledgeable! Thanks for stopping by today.